Developed/Published by Arc System Works. Released on December 9, 2015. Available on PC. Review code provided by Publisher. 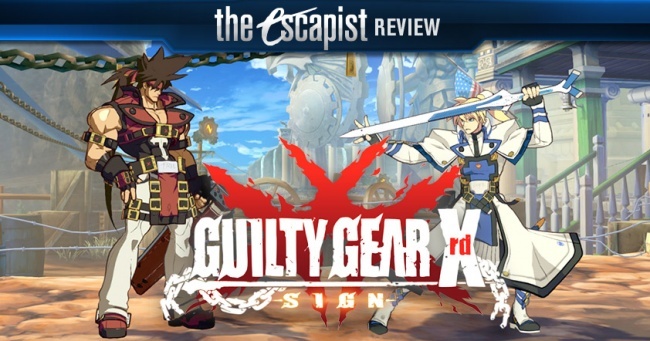 Guilty Gear Xrd -SIGN- is a fighting game in the vein of Street Fighter and Mortal Kombat, distinguished by the Japanese anime-style visual and narrative approach. 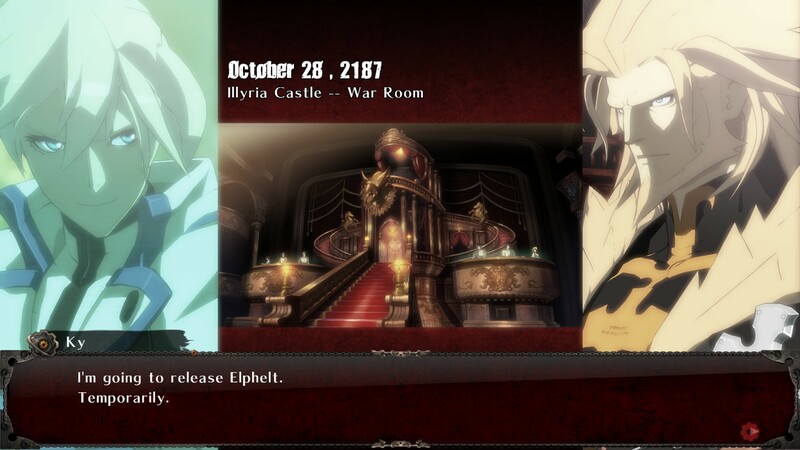 The world of Guilty Gear is an alternate reality of our Earth that diverges after 1999. The "Y2K" bug for us had very little impact, but it was a magical awakening for the Guilty Gear universe. Their world discovered an energy resource named "magic," revolutionizing the way humanity looked at technology. In the years that followed, magic was responsible for medical and scientific breakthroughs, replacing old world technology entirely with magic-fueled alternatives. Events take a dark turn after the creation of Gears - an energy weapon fueled by divine power. A powerful gear known as Justice becomes sentient, a problem made all the worse because of its ability to control other Gears. For the casual fighting game players, it's best to go to the tutorial section first. The game goes over the basics of moving, jumping, and punching. They also prompt you to repeat things a few more times, to make very sure you've grasped the concepts. 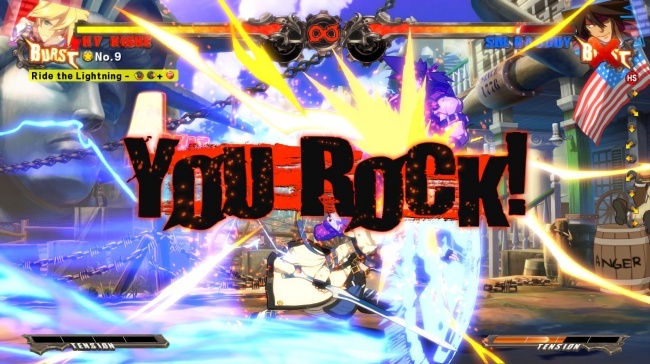 Additionally, Guilty Gear's tutorial explores the deeper fighting mechanics. For example, the differences between kicking and punching, and how to get past your opponent's blocking and counters. It also covers the dynamics of how to fight in the air, as well as stringing successive combos together to have maximum impact. The fifty different tutorials provide guaranteed coverage of everything you need to learn. After mastering the tutorial, there are extra modes that take the lessons a step further. Missions have combat situations set up to show the practical uses of fighting moves. These are worth playing for anyone who wants to learn how to deal with the fighting styles of different characters. Challenges hone your combo skills and test your finesse in pulling them off. This mode seems more geared for the completionist type of gamer, who just wants to prove they've mastered the game. 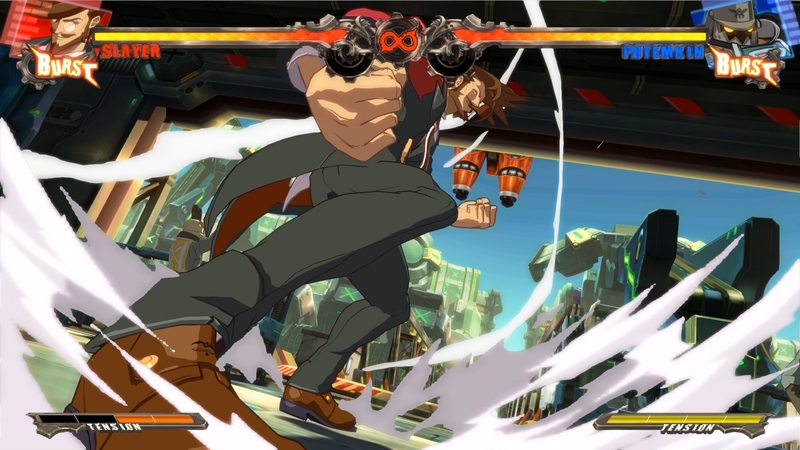 Guilty Gear's fighting mechanics are adequate, though they aren't anything special. It's very easy to stick to basic attacks - predominantly just kicking and punching - when facing A.I. opponents, but combo moves aren't difficult to execute at all, even in the heat of a match. On the grand scheme of damage dealt, however, it often felt like combos weren't effective enough to bother with. Character special moves also have a big downside in many cases. Once you figure out how to dodge something like Venom's energy ball or Ky Kiske's sword flurry, it takes a lot of the damage potential away. Both the combos and special moves require foresight and timing to make them effective strategies. While professional fighting gamers will undoubtedly unlock the secrets to every move, everyday folks will often be able to get away with only the simplest attacks. 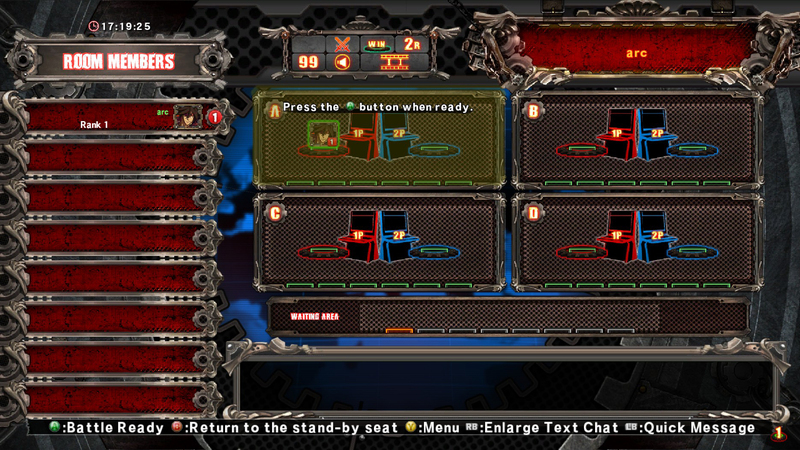 One of Guilty Gear's strongest features is its endless fighting mode, M.O.M. (short for Medal of Millionaire, but also referred to as "Live or Let Die"). 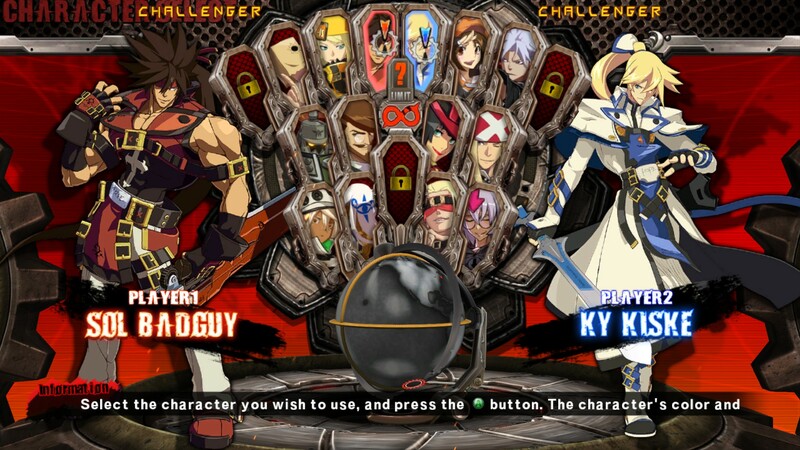 You'll face off against the entire Guilty Gear cast in a marathon battle. When you beat any opponent, they drop medals that serve as an in-game currency. You can spend medals on power orbs that permanently boost your HP, attack power, and technical stats. Jackets and rings on sale in the shop provide passive defense buffs. Battle items, like bombs and banana peels, are also available, adding a degree of strategy. These boosts help give a long-term edge, as they can carry between battles. While playing M.O.M. mode, you'll get to meet any of the Guilty Gear cast you haven't already encountered, alongside those you've already met. The eclectic nature of the cast is best represented by the crazy doctor with a bag on his head, teleporting with a magical door that pops out of thin air. Then, a few matches later you might be greeted by a kid in a coma, strapped to a robot bed that he controls with his mind, calling himself Bedman. It's impossible to deny that Guilty Gear tried to do something different and original in its character design. Guilty Gear's characters and personalities have a genuine distinction that's unmatched in video games. The roster consists of seventeen different characters. Twelve of them come from previous Guilty Gear games, but each character, new and old, has detailed intros and outros with witty retorts and remarks at the end of battle. To complement the color customization options for each character, you can even switch out the default announcer with a character of your choice. Based on the fact that each of them narrates entirely in character, it seems clear that just as much effort went into the voice acting as the visuals. I recommend watching the GDC talk that technical artist Junya C Motomura gave this past year. It goes in-depth discussing their process developing the character art style. Starting off, you might gravitate to the biggest and strongest looking character, Potemkin, but his power attacks are incredibly slow, so you'll likely find yourself outmatched by a swifter opponent. The vampire warrior Slayer, meanwhile, has fast attacks that do less damage, and he's a smaller target to hit compared to someone like Potemkin. Zangief and Chun-Li are some of the most recognizable examples of the strength/speed tradeoff. Guilty Gear Xrd -SIGN- introduces five new fighters, each of which plays a key role in the game's story. Inexperienced players may be perfectly content to mash buttons and ignore the nuances of the fighting mechanics, but even the most casual player will appreciate the depth of the story presented with each character. The developers offer two distinct avenues for players to experience the game's narrative; Story Mode and Arcade Mode. 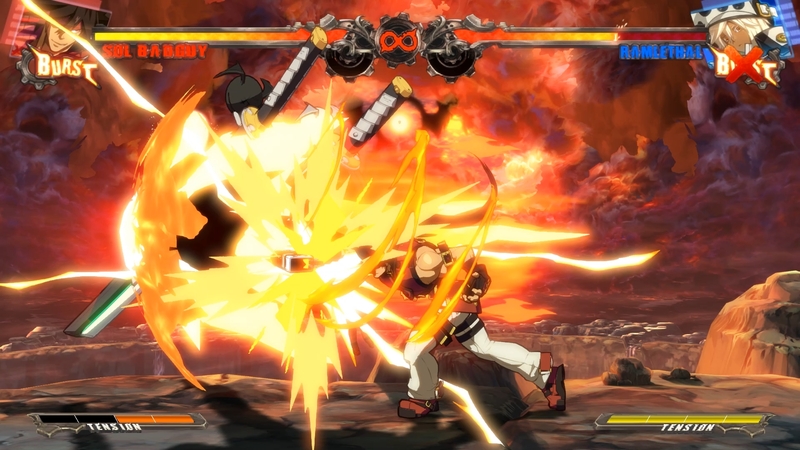 Where Story Mode offers an almost anime-style presentation, Arcade Mode sticks to the familiar approach of short cut-scenes interspersed among a series of battles. Story Mode is Guilty Gear in movie format. Despite having no gameplay, it works as an anime explaining the Guilty Gear universe. There are ten chapters with both A and B portions to them. Each of these twenty subsections averaged out to be fifteen minutes long. Being new to this series, the first few chapters were hard to follow. The developers may have assumed most people watching would be returning Guilty Gear fans. Arcade Mode is like story mode with the difference of having actual gameplay. The plot breaks up into pieces, presenting plot points after beating various opponents in 1 vs. 1 matches. They're not telling the same story, though, as Arcade Mode serves as a prelude to the events of Story Mode. Each mode tells the events leading up to "The Cradle" attack on Babylon and the battle that resulted from the fallout. When the sinister Conclave brings out a giant, magical ship named "The Cradle" to wipe out all life in a city, King Leo Whitefang must race against time to stop the destruction of his lands in Illyria. It's not a complicated plot, but it gets the job done. 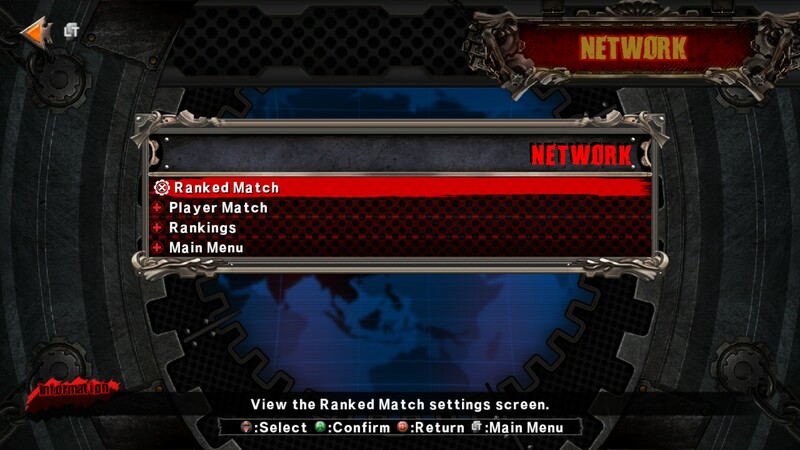 Online mode is a bit of a mess at the moment, with wait times dragging occasionally due to the matchmaking system. If you're having trouble finding an opponent, you may want to check your Steam region settings, and make sure you're looking in a well-populated region. Even setting up a private match among online friends can present a problem, as there have been reports of disconnects and server confusion that happen in the middle of the game. 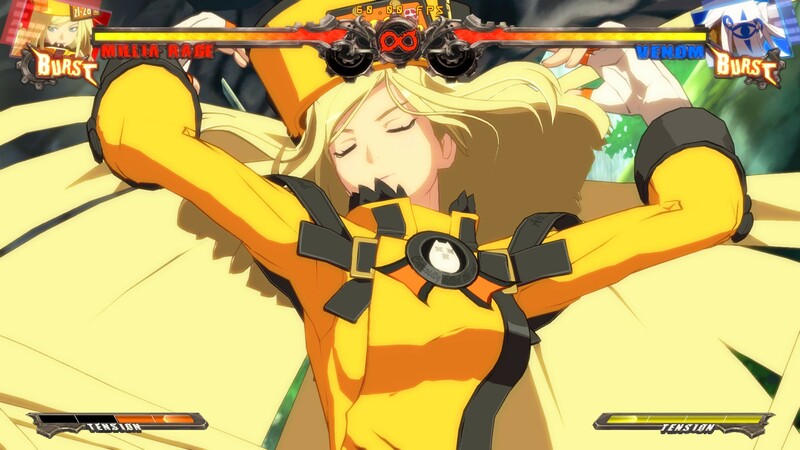 As a fighting game "casual", Guilty Gear Xrd -SIGN- manages to command my attention. The 3D models, cel-shaded to give a 2D aesthetic, look fantastic in the final product. The story crafted in the anime rivals that of Street Fighter and Mortal Kombat's universes. The only issues that tarnish this PC port's shine are online connectivity and matchmaking, though the developers have made a note of that at the time of writing this review, which seems like a good sign for future improvements. It's worth noting that there is no crossplay between PlayStation and PC. The developers made PS3 to PS4 crossplay work, leading people to raise the question about PC to PlayStation. As a rule, allowing players on different platforms to play together would strengthen the Guilty Gear - or any game, for that matter - community. Crossplay from PC to consoles is a hard feature to pull off, it turns out. Blizzard said it was impossible for Diablo III: "What the Xbox and PlayStation networks do is different than what Battle.net does." The developers having made all the DLC free for the 1st month is not only a token of good will between the community and the developer, but a wonderful precedent to see in the modern world of paid day-one DLC. Bottom Line: A strong entry for franchise fans, and runs fluently on PC to give the expressive anime visual style the opportunity to show off its fullest potential. Recommendation: Any fan of fighting games or exotic anime worlds will enjoy Guilty Gear Xrd -SIGN-, especially with the modest $30 price.